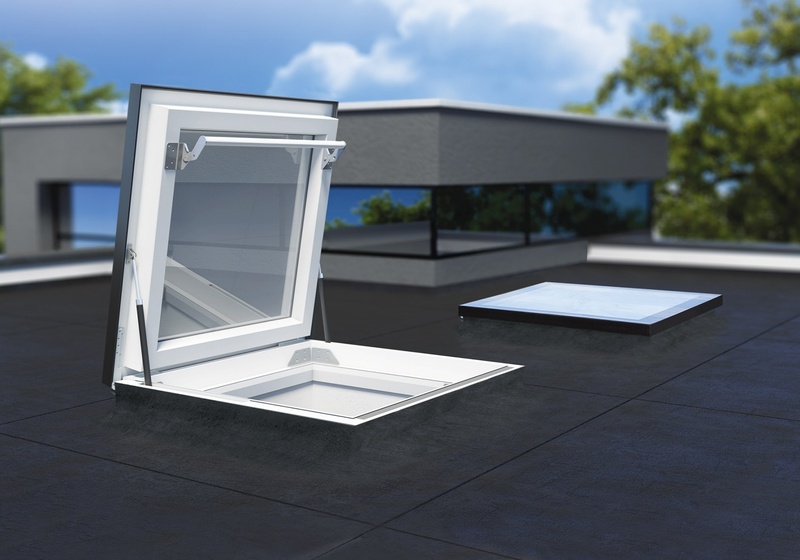 Fakro DRF flat roof access skylight is an energy-efficient hatch that acts as a skylight while providing access to flat roofs. A special opening system of patented hinges and gas springs safely open the window and secure it in the open position at 80 degrees. This window utilizes Fakro DU6 triple-pane glazing mounted on insulated multi-chamber PVC frame. “Infinity glass” top surface design profile has a large glazing area with up to 16% more glass surface than standard frame designs.